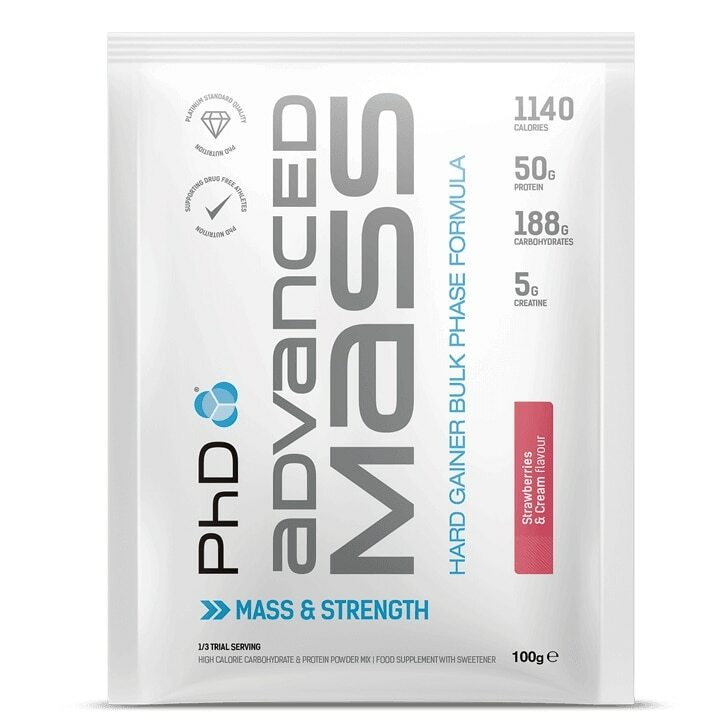 PhD Advanced Mass Powder Strawberries & Cream is rated 3.0 out of 5 by 2. Rated 5 out of 5 by Rakhi19112018 from Great texture and flavor I bought this after trying a few brands a d am super impressed. Was looking for a powder i could simply drink with water as I don't do smoothie or yogurt every day. This flavour and brand is perfect, goes with smoothies, yoghurt and water, without the weird viscous texture some other brands had. A bit pricey but worth it.